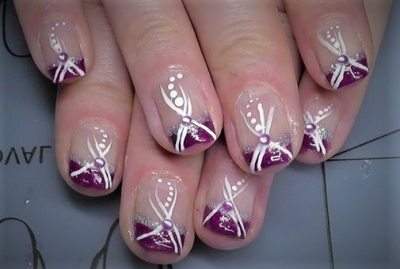 Lilac and white patterned nail design. 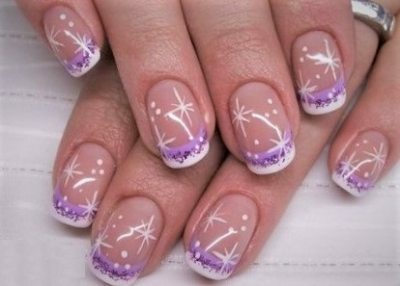 Star patterns with white nail polish are very beautiful! 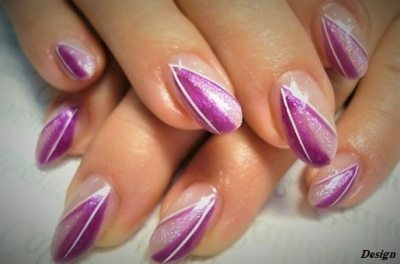 Purple and white nail design. 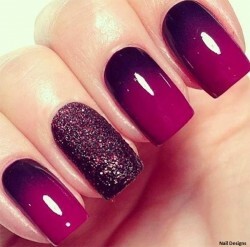 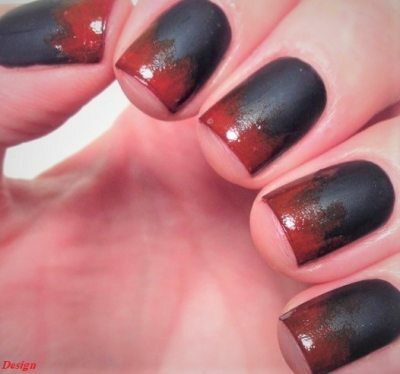 Simple and multicolored to do! 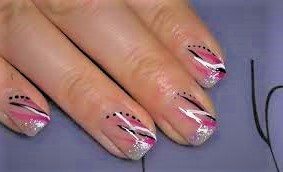 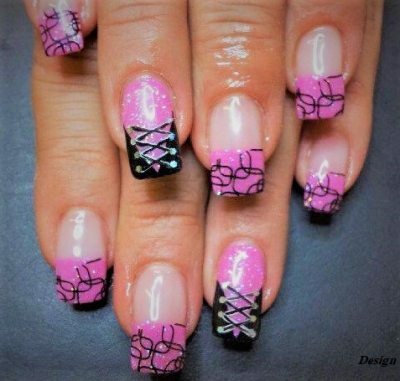 Nail design in pink and black color. 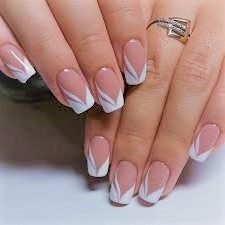 Very sweet design. 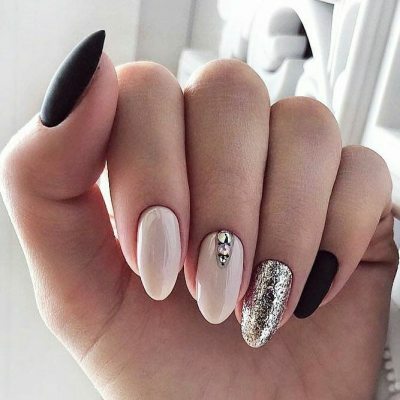 It's a cute design, isn't it? 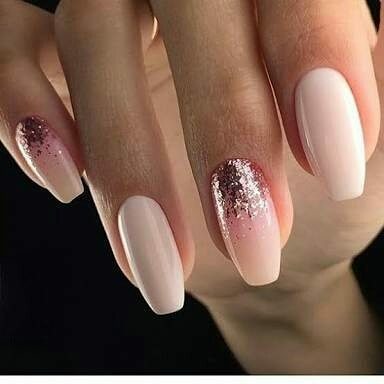 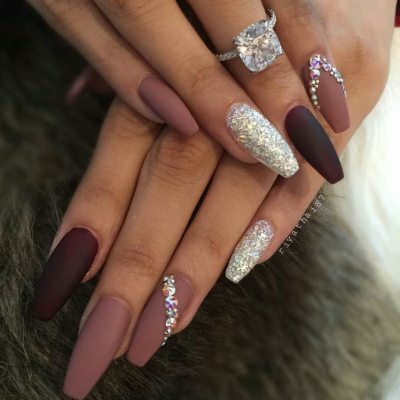 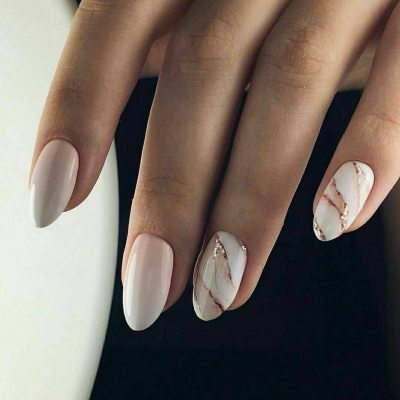 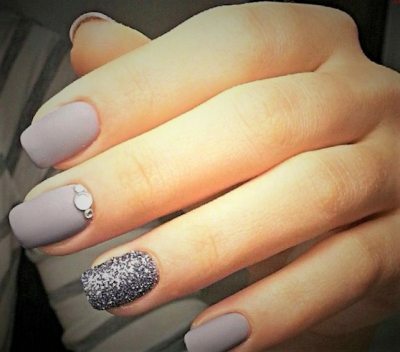 Simple and stylish nail design. 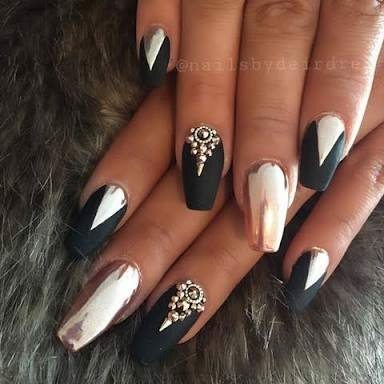 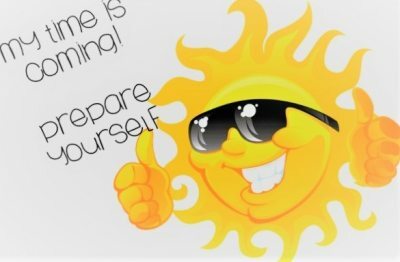 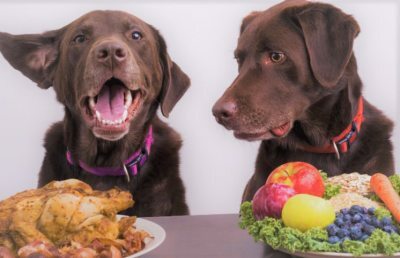 Very nice for important days.